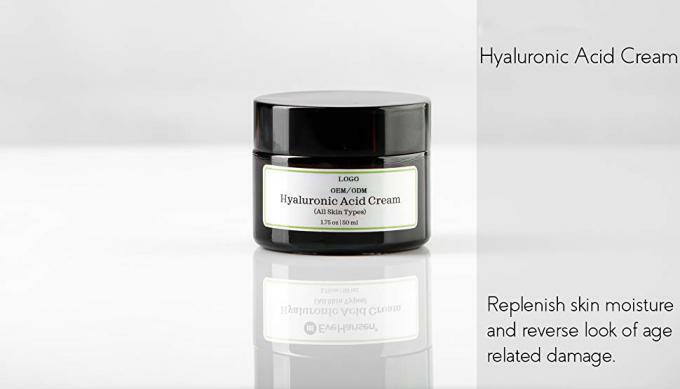 WIN THE AGING BATTLE – Hyloranic Acid recaptures lost moisture to diminish wrinkles and age spots. SMOOTH AND GLOWING SKIN - Moisturize and repair dry, damaged and flaky skin. VITAMIN E helps revitalize skin and slow the aging process. REPLENISH YOUTHFUL skin with natural ingredients like Chamomile and Japanese Green Tea. Hyaluronic acid is a treasured tool in anti-aging skin care. As we age, our skin loses its ability to retain moisture, and in turn, that results in the loss of firmness, plumpness, and elasticity. Hyaluronic acid attempts to reverse the signs of aging with its ability to replenish skin moisture, that is crucial to maintaining a healthy and youthful complexion. 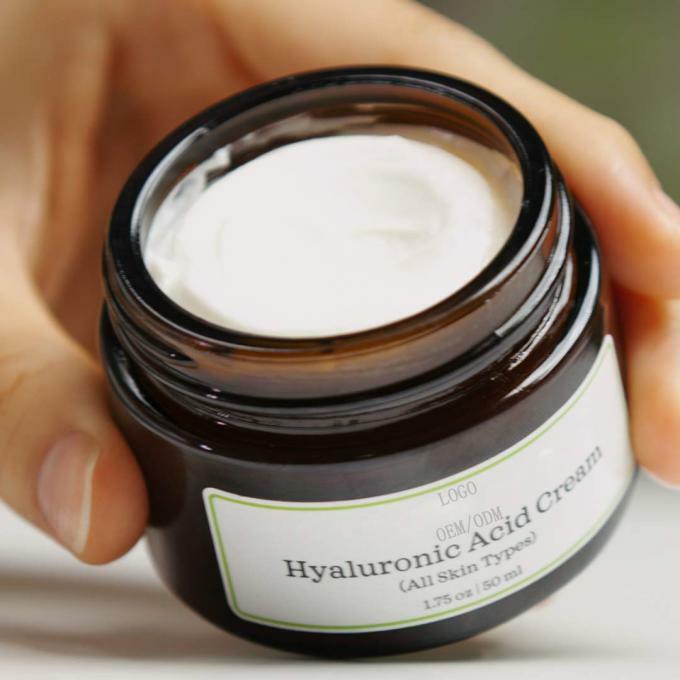 Our Hyaluronic Acid Cream is formulated together with a potent blend of vitamins and Certified Organic Botanical Extracts to battle the aging process by acting as a natural moisture and collagen stimulator, and works to keep every aspect of skin stable, safeguarded, and constantly renewed. 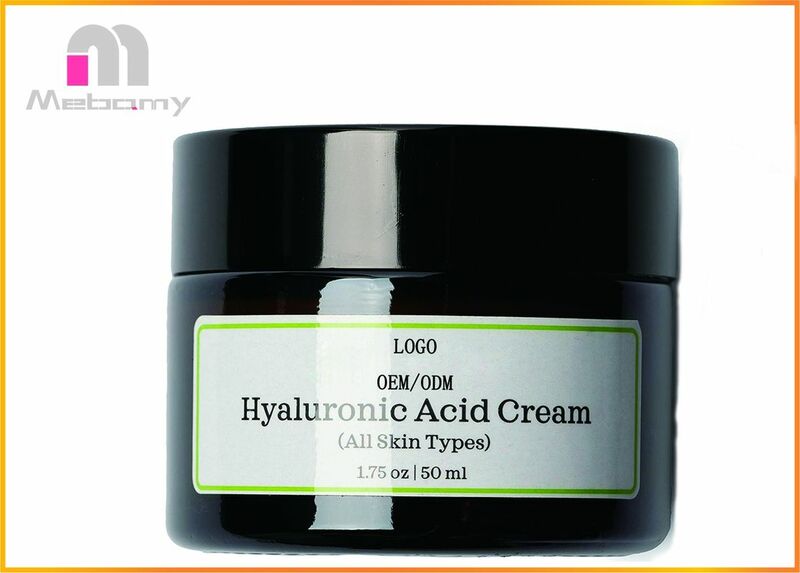 Hyaluronic Acid Cream also enriches your skin with an antioxidant defense against environmental damage and promote skin’s firmness for a healthy, youthful appearance. One of the most skin damaging elements are UVB rays from the sun. Hyaluronic acid helps protect the skin from UVB rays , which can cause sunspots among other . Hyaluronic acid is also a “smart nutrient” as it can adjust its moisture absorption rate based on the humidity, relative to the season and the climate - making it your go-to moisturizer year round! 1)Use cream in the morning or evening after cleansing, toning, and applying serums to skin. 2)Apply a dot of moisturizer on forehead, nose, chin, and both cheeks. (This is called the 5-dot method). 3)Gently massage cream into skin using upward and circular mo tions. 4)Allow time for effective absorption Enjoy a moisturized and hydrated complexion. Hyaluronic acid is known as a glycosaminoglycan, a vital natural substance that's a youth-supporting part of skin. It has a stunning capacity to attract and hold vast amounts of moisture. Our Hyaluronic Acid Cream is formulated together with a potent blend of vitamins and Certified Organic Botanical Extracts to battle the aging process by restoring skin's natural moisture and works to keep every aspect of skin stable, safeguarded, and constantly renewed.